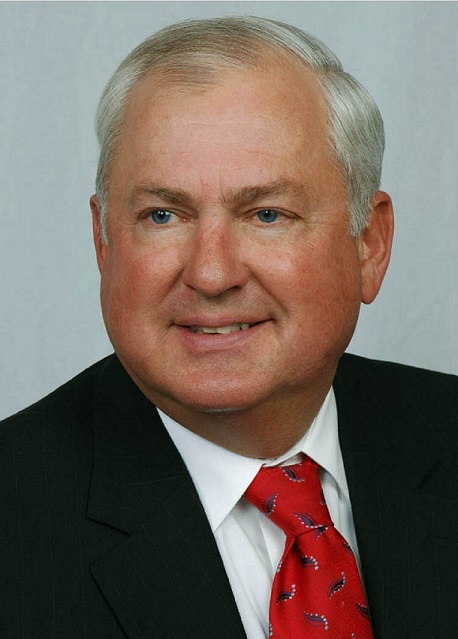 CLEARFIELD – The board of directors of CNB Financial Corp. and CNB Bank recently announced the retirement of Dennis L. Merrey following 28 years of distinguished service to the organization’s board of directors. Acknowledging Merrey’s service, Peter Smith, board chairman, stated, “Banking presents a broad set of responsibilities and challenges. Mr. Merrey’s chairmanship saw CNB through the financial turbulence of 2008 and its aftermath and CNB remained strong and stable. As the founder, president and chief executive officer of Clearfield Powdered Metals Inc., and former president of Clearfield Machine Co., Merrey was elected to serve the CNB Bank board of directors in 1990. He was elected to the CNB Financial Corp. board of directors in 1991, where he served as chairman from 2007-2016. “Serving on this board has been one of the most fulfilling experiences in my career. The change that has occurred over the last 30 years in the community banking arena has been nothing short of astounding,” said Merrey. “My nine years as chairman were the pinnacle of my association with CNB. The commitment, dedication and professionalism of the executive management, board members and each and every employee make it no surprise that the growth and success of CNB Bank has been the envy of many community banks. Merrey graduated from the U.S. Army Officer Candidate School as the honor graduate and distinguished graduate in 1971. He is also a graduate of the International Accounting Society. An avid outdoorsman and hunter, Merrey lives in Clearfield with his wife, Shari, and has three daughters, Julie Baum, Jodi Albarano and Alayna Null. He is a member of West Side Methodist Church and has served on its board of trustees, as chairman of the finance committee and on the endowment committee. Merrey has served as a board member with various community organizations throughout his career, including as chairman for many. Those organizations include the Clearfield Area United Way, Clearfield Municipal Authority, Clearfield County Industrial Authority, Clearfield County Economic Development Corp., Clearfield Hospital and Penn Highlands Hospital. He also served in leadership roles of capital campaigns for the Joseph & Elizabeth Shaw Public Library, Clearfield YMCA and Clearfield Educational Foundation.